I am sure some of you will be surprised that Rainer Haßold and I as reigning champions do not want to defend our title anymore. I want to explain the reasons for that and to present my plans for the agenda of the 10th FAI World Gas Balloon Championship. 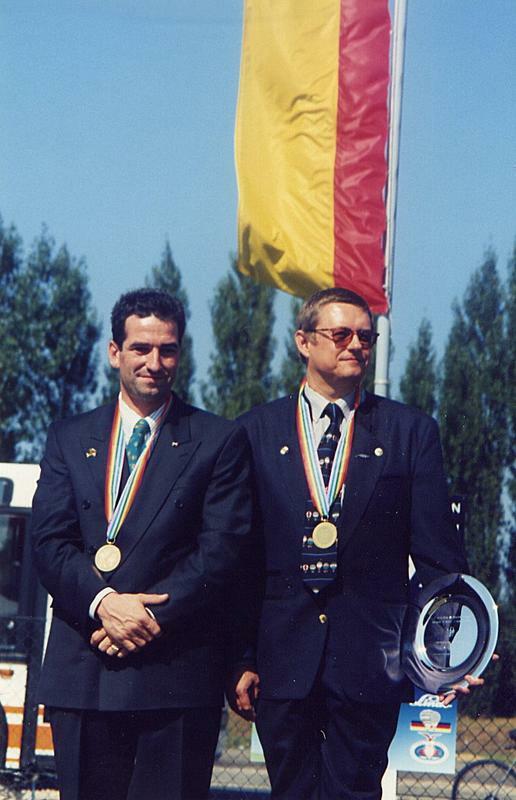 In the years between 1992 and 1997, Rainer and I were three times German Champions, once Vice-World champion and twice World champion. 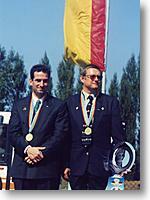 When we won the second national title I announced that we would not to compete again, should we succeed a third time. Thereafter I was twice competition director for national championships, which was a lot of fun for me and (hopefully) the competitors. As nobody organized world championships anymore, we have not been able to defend our world title. As 8 years passed since 1996 without anybody being interested in organizing world championships, I wanted to do everything to avoid losing this good tradition. I could not believe that no one is interested in competing in gas world championships. Beside the personal success, I remember the days in Obertraun, Albuquerque and Bitterfeld as a very good time. It was possible to deepen old contacts with balloonists from over the world and to socialize with new ones. As acting as director was - beside the workload - always a lot of fun for me and my team, I thought that applying to be the director could give the project some new momentum. Besides that, after an 8 year break, it has become more and more unlikely that we would successfully defend the title. So I will be event director as reigning champion and I will set the tasks for my successor. I regret to see that most ballooning events have tended to become bigger, better and more expensive. Unfortunately this does not fit in these times of shrunken marketing budgets and missing money everywhere. With the Worlds in Bitterfeld I want to prove that it is possible to organize an event like this without a big budget, affordable and challenging for the competitors. Observers will be proposed and financed by the competitors. They should be able to help rigging and packing the balloon. This should help to save one crew member. Lean management: We have only one person for each task and plan to support each other. Debriefing will be done by everybody who does not have different work at this time. This way we save 4 debriefers, who will not have really much work at a gas championship. Invitation to foreign officials exclusively within Europe to save airfares. Anyhow, I plan 3 flights in this week, one of them with a real maximum distance if possible. Weather permitting, I aim for 10 tasks. I wish everybody an unforgettable week in Bitterfeld. I would be particularly happy, if another National Aero Club could approach such a project in the future.